People often face difficulty in starting their Dropshipping business because they are on tight budget. Not having enough money becomes one of the major reasons why a lot of people don’t start a Dropshipping store, which is sad. So, in this article, we will talk about starting a Dropshipping store without any money. 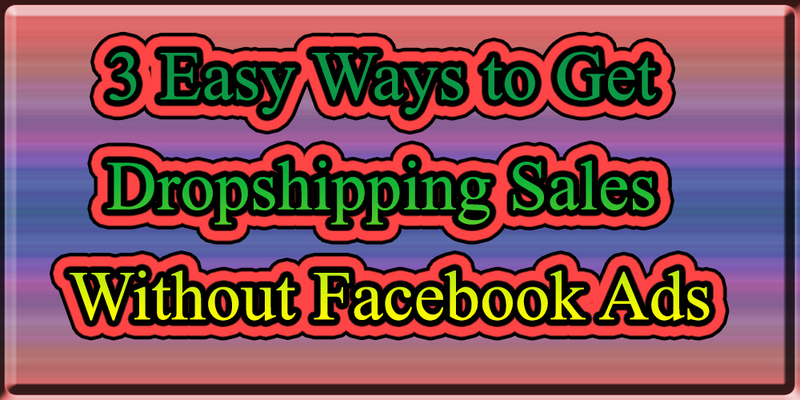 We will talk about ways in which you can actually start your Dropshipping business without throwing out money Facebook ads. You can season your Facebook pixel. These pixels are very much valuable when you are running these Facebook ads. You build a base of a successful Instagram account and social media presence for your brand which is very important for your brand name. You will get 100 percent free sales if you exactly follow what we will tell you in this article. It is one of the easiest ways to build a brand name. In today’s scenario, Instagram has it all. you can advertise your products on it and get good amount of sales. It is very beginner friendly as well. However, you need to keep a few things in mind before starting with Instagram to build your brand. Be consistent: Consistency is the most important thing when it comes to Instagram. It is very necessary to be consistent on Instagram for your engagements. We suggest you to post at least three contents per day but not more than that. Posting more than three content per day will lead to shortage of content for you and you don’t want that. You should post one content in the morning while second in the middle of the day and the third content in the night time. You can also post 1 to 2 posts daily no matter if it is a video or a photo. Post viral content: You need to post viral content that suits your business. Make the best use of hashtags and utilize viral content. You should aim at making your Instagram account as an explore page where new prospects and engagements can emerge in your brand. It is very easy to find viral content. You can download a chrome extension called “Downloader for Instagram” and add it to your browser. Now, if you are using Instagram on your desktop of a laptop you can to go to Instagram and start downloading the content after installing this extension. There is a lot of content given on the explorer page. You can download it and repost it as your own. The content that you get will be related to the nature of the niche of pages that you follow. You must start following your competitors and pages of your niche in order to get the proper content in the explore page. In case you don’t find content on the explore page, you can type a suitable hashtag on the search column. For example, if your niche is fashion you can go out there and punch hashtags related to it. You need to remember the fact that videos get more engagements and they are going to place you on the explore page for a period of time and they are going to see how it goes with engagement. So, in case a lot of people leave comments of like your content and you are engaging with the audience properly, it will make your stay on the explore page. You are not going to find a place in the explore page if you are not consistent with your content. You must go out there and try this out as it can be easily done. You can literally download any video with a few clicks with the help of this chrome extension and repost that video instantly. So, make sure you post 1 to 2 post daily but not more than 3 and remember that consistency is very important in order to add value to your business. Work on your own products: Working on your own products is really important when it comes to Dropshipping business. You should get high-quality pictures of your products and throw them in the mix where it is going to be as seamless as possible ideally. Getting good pictures of your products is also very valuable. You can post those pictures on your Instagram feed and let people know about flash sales and leave links of your products in your bio. @you in more contents like this: Don’t forget to tag yourself in the viral videos or pictures that you follow. This will help people to reach out to your page for similar products. Shout outs for shout outs: This step is one of the easiest ways to get things done. However, you need a good number of followers and engagements before starting this. You can do shout outs for reaching out to other influencers or micro influencers in your niche. You can give shout-outs to their pages and they can give to yours in return. You both will get new followers so it’s a win-win situation for both of you. Along with more followers, you will get new engagements and exposure for your brand and that too for free. People will trust you more if you have a greater number of followers and you are actually engaging with them. If you engage with your audience you can win their trust. Trust will increase sales as people tend to purchase more from brands they trust. If people see your brand for the first time, they will look upon the number of followers you have and how you are engaging with your customers. They will feel more comfortable putting in their credit card information when you win their trust. Engage back with followers: Engaging with your followers is very valuable. Make sure you utilize Instagram in the best possible way you can as it is one of the easiest free of cost method to run your Dropshipping business without any money. Integrate your own post within your content strategy and reach out to as many people as you can. In order to strengthen your Algorithm, make sure you engage back with your followers. By engaging, we mean that you reply to queries and comments your audience leave on your posts. Like a maximum number of comments that you can and give your audience an insightful response. This will help you with algorithm. Instagram prioritizes more recent posts due to its new algorithm. It’s not necessary that your posts are pushed high very quickly but, in few hours, they are going to be held in high regard and put further up everyone’s timeline if people actually engage with your posts. If you have insightful comments and you reply to them and you have true activity on your posts, Instagram will keep your posts up there for a longer period of time. It will also help you to be there on the explore page where you will get maximum exposure. So, engaging with your followers is very necessary to start Dropshipping for free. All you have do is to be consistent, post viral videos and images and engage with your audience along with doing a little bit of work here and there. Tutorial videos: If you are good at recording videos and footage you can adopt this way as well. You can do tutorial videos. These videos can cover up thing like how to use your products and how they are useful. Videos: You can post these tutorial videos on Facebook as well. Blog posts: They are also one of the best ways to go out there and get a good traffic for your store. Blog posts also help your audience to get insightful suggestions about particular products. You can cover up topics like for example “why should you prefer hand gloves instead of a brush to maintain your dog hair.” Basically, you can do comparison between different equipment used in a particular business. Some other examples of blog posts can be “5 tips to train your pet” and so on. You must follow all your blogs with certain products. Just give your audience a medium of content to reach out to your products. So, by following these three ways you can go out there and start your Dropshipping business with zero money and grow your business.